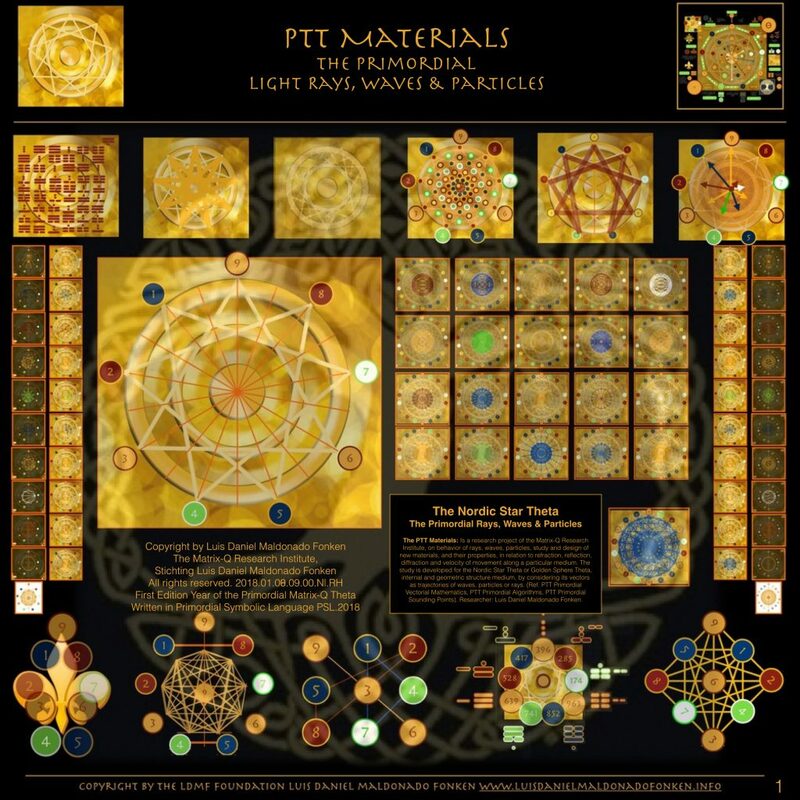 The PTT Materials: Is a research project of the Matrix-Q Research Institute, on behavior of rays, waves, particles, study and design of new materials, and their properties, in relation to refraction, reflection, diffraction and velocity of movement along a particular medium. The study is developed for the Nordic Star Theta or Golden Sphere Theta, internal and geometric structure medium, by considering its vectors as trajectories of waves, particles or rays. (Ref. PTT Primordial Vectorial Mathematics, PTT Primordial Algorithms, PTT Primordial Sounding Points). Researcher: Luis Daniel Maldonado Fonken. 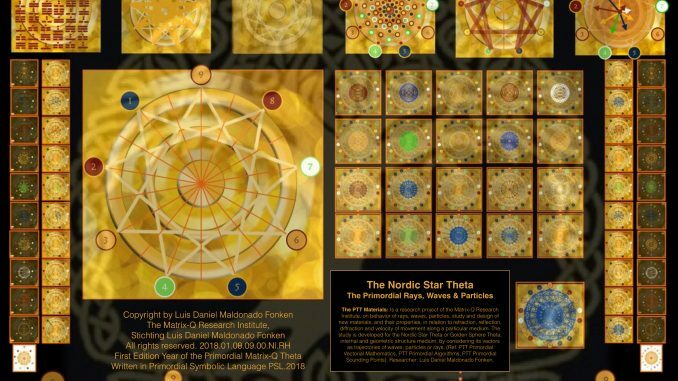 In order to approach the study of the Primordial Rays, Waves & Principles the reader must consider rays, waves and particles entering, being diffracted, reflected, passing through or leaving the Nordic Star Theta Sphere. It means at certain points of the sphere is expected to be a slit or entrance, as well consider there is unique medium of particular density, a substance, eventually a fluid, material, which is found within the Nordic Star Theta Sphere, which creates that particular behavior of the Rays, Waves & Particles in Interaction with the Nordic Star Theta Medium and its geometric structure. Applications of the research study will be developed in field engineering, medicine, transportation (propulsion and energy generation), architecture, nano technology, artificial intelligence, notary computing, human potential, quantum physics and others.